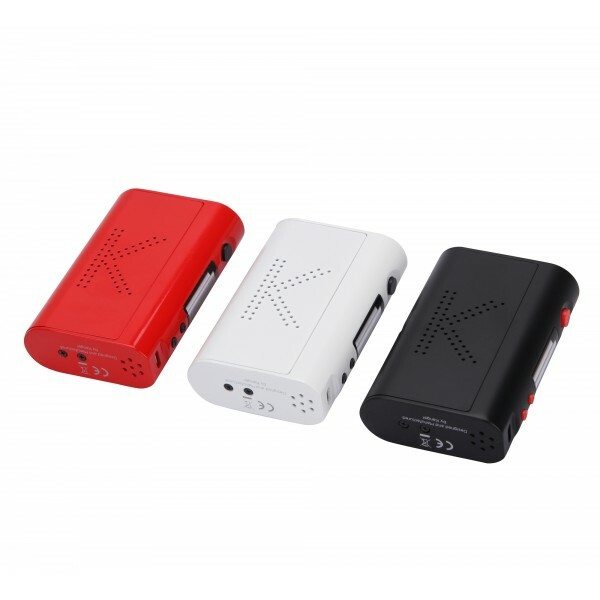 Kanger KBOX MOD 200W is a small device produced by Kanger, it comes with three colors for you to choose, with multiple safety protection system, it’s really easy and safe to carry and use. 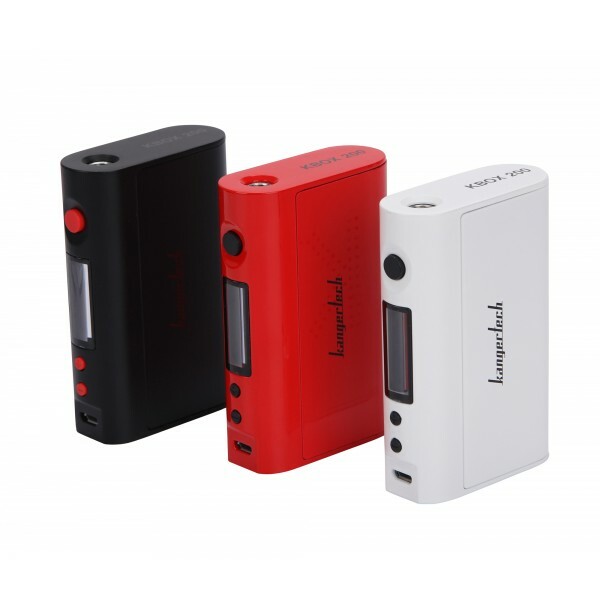 Kanger 200W TC Mod is powered by two 18650 batteries, it can fire up to 200W, also supports Nickel, Titanium, Stainless Steel and Ni-chrome wire in temperature control mode. 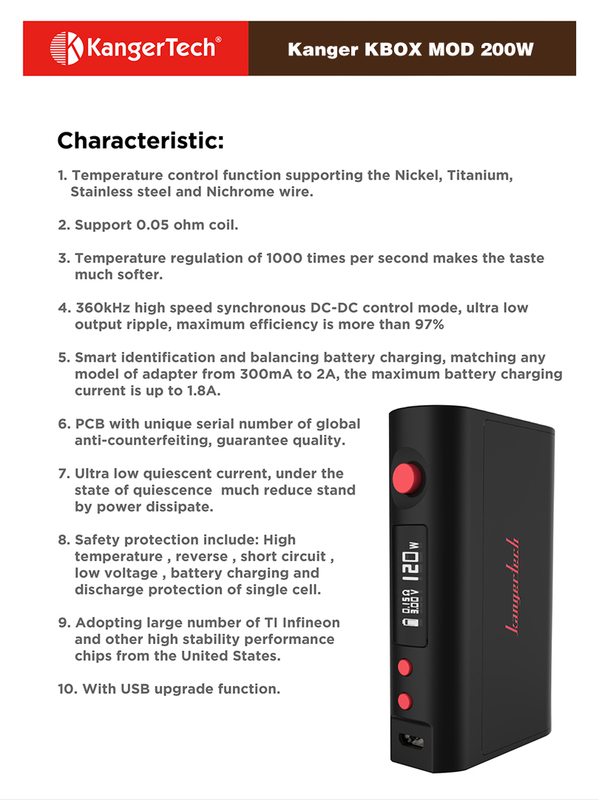 It features a 510 spring loaded which can compatible with most of atomizers. 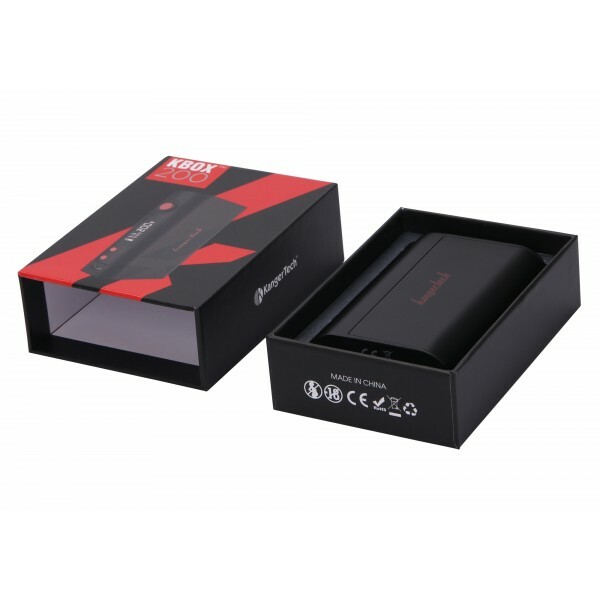 In addition to this, KBOX 200W Mod also supports firmware updates system.